place your order by phone: 800-980-4165. 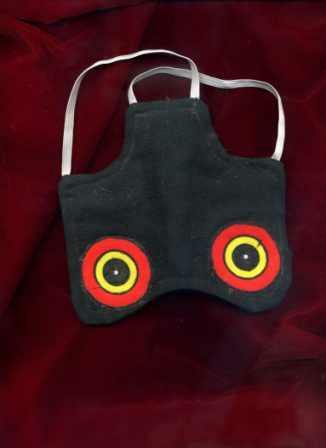 Add Predator Eyes to your apron for an additional $4. 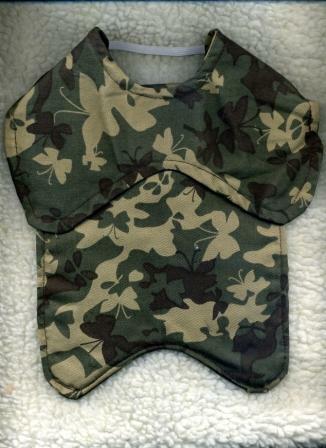 Our copyrighted predator eyes were designed by us with the help of a raptor expert, are printed on strong, long-lasting, rip and tear-resistant duck cloth. 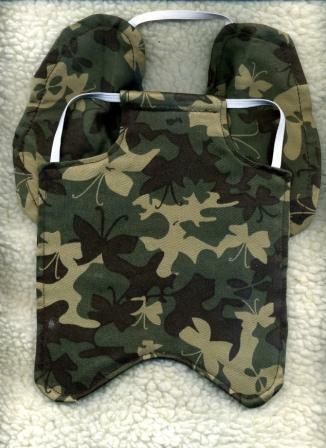 Our Predator Eyes are hand-sewn to order onto your apron: they are not flimsy decals. 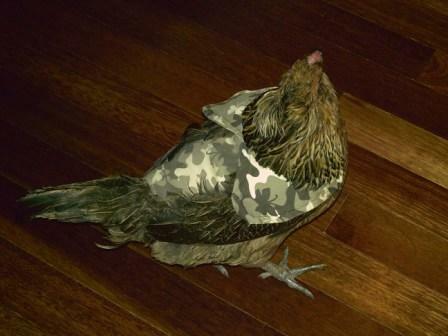 The single-strap hen apron (shown without shoulder protector) secures to your chicken like a backpack: by pulling the left loop of the strap over your chicken’s left wing and the right loop over the right wing. 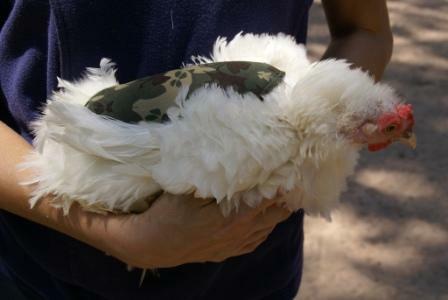 This single strap style is easier to put on the chicken and chickens take to it very quickly, but more active chickens may be able to remove the apron. 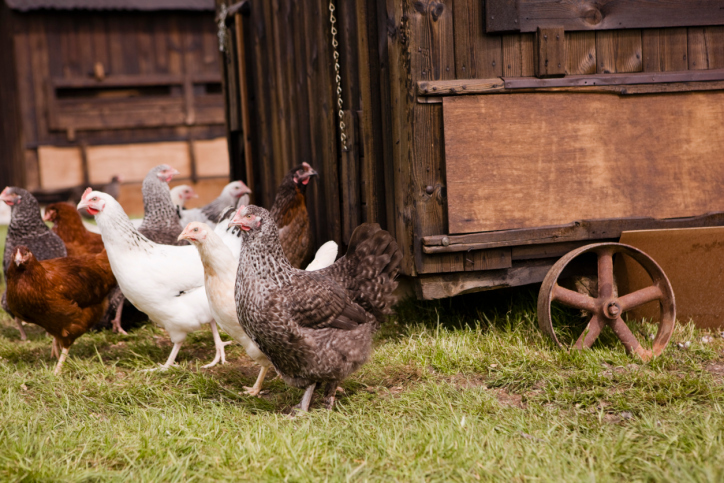 This model is also recommended for either very narrow or very wide chickens and birds that are still growing. 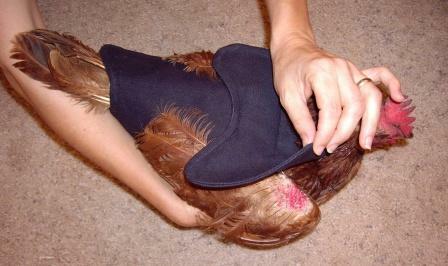 The double-strap style (shown without shoulder protector) is very difficult for the chicken to remove, but is more complex to put on the chicken and some chickens will not tolerate it. 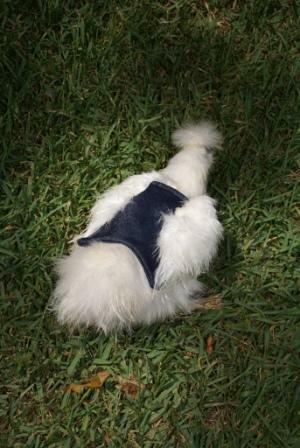 The apron is secured by pulling it over the chicken’s head and placing your chicken’s head through the loops made by the intersection of the two straps. 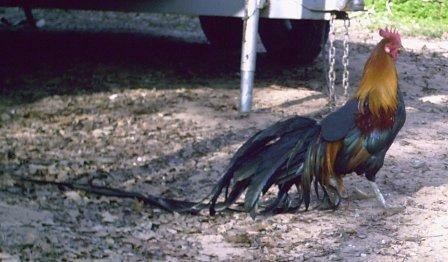 You must pull each strap over the appropriate wing (left strap over left wing, right strap over right wing). 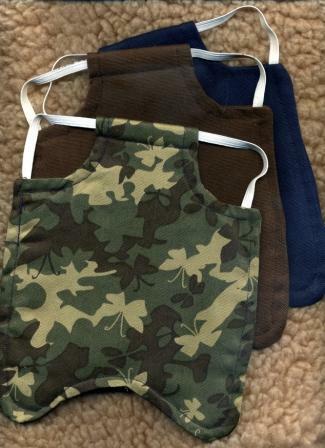 protector is permanently sewn onto the apron. 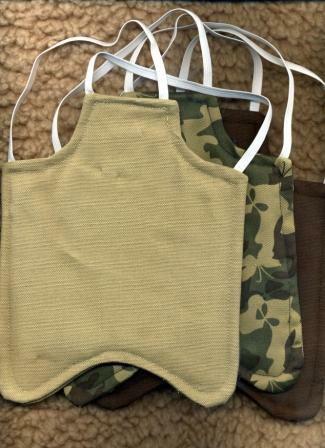 Removable shoulder protector: the shoulder protector is attached to the apron with hook and loop fasteners and can be removed and re-installed. You can remove the shoulder protectors whenever you wish, for hot weather, rain, during setting, etc. 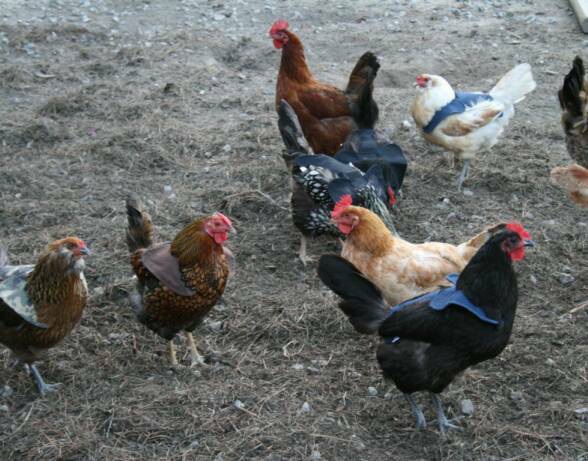 An additional benefit of a removable protector is that a single hen apron can be re-used by other chickens and the protector used on chickens prone to shoulder damage and not used on chickens not prone to suffering shoulder damage. Our shoulder protectors are constructed of double-layer material and cover the chicken’s shoulders without inhibiting your chicken’s ability to move wings, dust bathe, or fly. 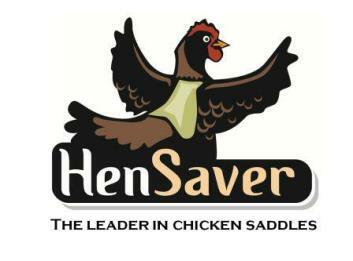 Hen Saver® is made of washable cotton. To clean, machine wash in cold water on delicate cycle and dry flat. Cool iron. 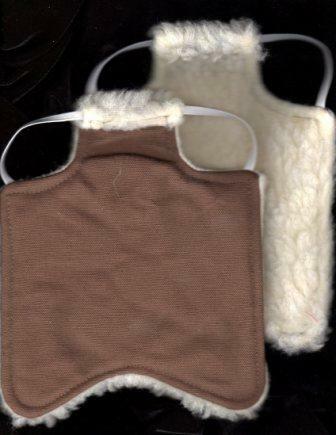 Our hand-made winter model adds a layer of warmth to our trusted tight-weave hen apron. 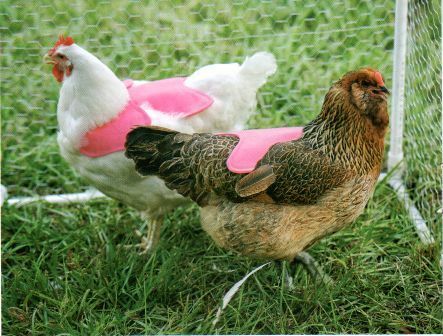 The same triple-layer protection for your hens with an underside of super soft, toasty warm fleece.